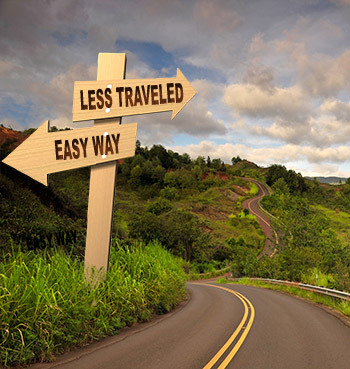 The Road Less Travelled..........Listen To Your Gut......AND OUR NEW BUSINESS VENTURE - FRINGE.YOGA !!! It is sometimes so very had to make a decision. The decision making process happens a countless amount of times from the moment you go wake up to the moment you close your eyes. This week in our household it has been decision central and a stressful environment to be in. I swear my little monkey has picked up on the vibe because she has seriously been winding me up and testing my patience at a time where I've needed to be strong and supportive. Anyhow, the week is over and the decision has been made and I know it was the right one. I know that because it was both mine and Andrew's first instinct, what you would call your gut talking. I truly believe when it comes to making tough decisions you should trust your instinct. As modern human beings with so much knowledge at the tips of our fingers and the incredible power of technology and media we are far too often swayed by opinion and what we think is expected of us. There is a reason that little voice or feeling is there....its your little spiritual guide (no matter how cynical you are about spirituality, you know that voice is there) gently encouraging you along your path. And i don't believe it's a case of, "OH MY GOD you got it wrong, now you are doomed" I believe there is always a way back. It might just take that bit longer. I have definitely made some, shall we say "interesting" choices over my 28 years. They were not the wrong choices because I look at my life now and know it has worked out for the best but perhaps at the time I could have been a bit smarter with my decisions. The ignorance and arrogance of youth can be a dangerous thing, especially when it comes to drugs, alcohol and smoking etc. It takes a strong person to say no the first time and an even stronger person to say no the second and third time. It's too easy to fall into bad habits and find your life crumble beneath your feet. I think many of us have been there. 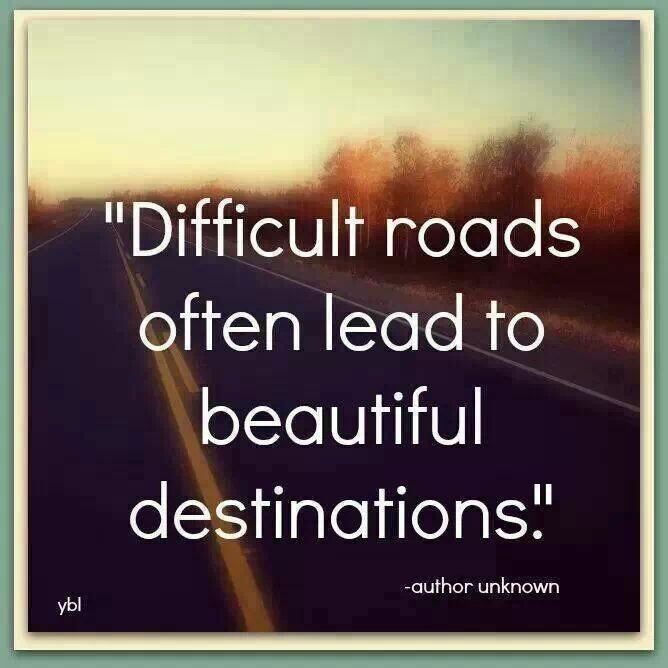 But remember, sometimes the difficult roads lead to beautiful destinations. So here's to yoga for courage, yoga for strength, yoga for healing and love and all things positive. Open your heart and open your mind to all routes and all destinations and allow your instinct to guide you. trying new, feel good and fun poses on what looks like the road less travelled! open the heart to accept change, find courage and listen to your instinct. and most importantly of all....SMILE!! After that slightly stressful week I am actually off on holiday this week. It's a girly trip, just Gracie, Red (my lovely girlfriend) and myself in sunny Portugal and I can't wait. I am slightly anxious as some of you may have seen, Jodie (my wonderful friend,yoga teacher, business partner) and I are opening our very own yoga studio, f r i n g e . y o g a in east Herts in June! This holiday was booked way before we even started discussing this venture and I feel like there is so much to do. But Jodie aka super woman has it all under control and we have time before the studio opens when I am back to do any last minute extras!! This has been an incredbly exciting journey so far for us and we cannot wait to share it and get it all up and running. @ninagnaws aka Nina Fordham, we went to school together and she actually kindly featured me in her blog last week! Love a bit of sisterhood in the hood! But seriously, her healthy recipes for deliciously scrummy food are amazing! It is so refreshing to see awareness about what we are eating and putting into our bodies and most importantly how to still get the delicious taste and the satisfaction of knowing that what you are eating is good for you! The beetroot and nut dip is my favourite. @fringe.yoga on facebook, insta, twitter, you name it we are there!!! We open on June 1st and you can check out classes, upcoming events and workshops on the website. Really hope to see some of you yogis and yoginis down at the launch party on the 6th June!! Never forget Who You Are....Bikini Ready Bodies and HOLIDAYS ROCK!! PRECIOUS TIME - how do you use it?.........Being present in your practice and in your mind!